In its seventh season, AMC's popular unscripted series "Comic Book Men," premiering Sunday, October 22 at midnight, takes another dive into the world of geekdom by following the antics in and around master fanboy Kevin Smith's New Jersey comic shop, Jay and Silent Bob's Secret Stash. Leading the team behind the shop's counter are Walt, Bryan, Michael and Ming, who geek out over mind-blowing pop culture artifacts and the legends behind them. Special guests this season include "Luke Cage" star Mike Colter, Rosario Dawson, Burt Ward, Method Man, and Freddy Kruger himself, Robert Englund. Whether it's buying and selling memorabilia or embarking on wild adventures away from the store, The Stash cast shares all the juicy details with Kevin during their hilarious podcast, which is woven throughout the series. 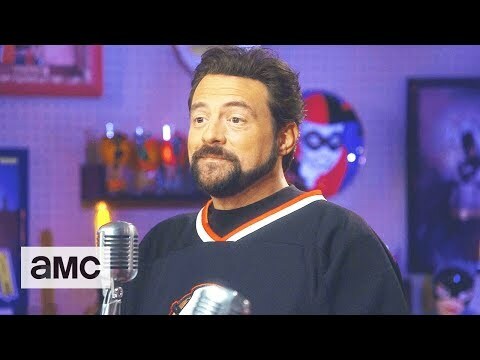 Comic Book Men Season 7 was released on AMC 550d ago in the US.